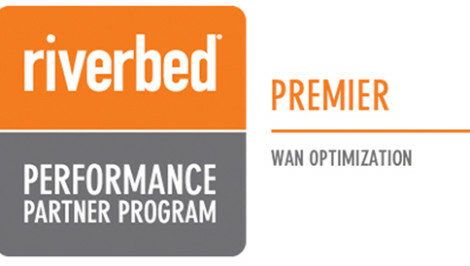 As a Riverbed Premier Partner, Gateway can design and implement solutions for branch office virtualisation, storage delivery, remote management, and more. Drive greater consolidation, simplicity and resiliency of branch infrastructure. Eliminate remote servers and management costs. Troubleshoot remote locations centrally. Accelerate centralised applications to field offices. Streamline the IT footprint in branch office locations. Solution design, consolidation and migration plans, as well as deployment, configuration and testing of applications, server and storage solutions, in line with Riverbed’s best practices. In addition, as part of enablement, Riverbed Professional Services provide a comprehensive knowledge transfer through various workshops. Combine WAN optimisation, virtualisation, and storage delivery into a single appliance. Run multiple virtual instances to consolidate multiple local services at the branch, such as print, DNS and DHCP. Reduce bandwidth utilisation by 60 to 95% and accelerate applications up to 100x for remote workers accessing applications in the data centre. With integrated quality of service (QoS) and path selection, Steelhead WAN optimisation solutions allow IT to control consumption across hybrid networks to distinguish between business-critical and recreational traffic. Provide remote branch office users with a local application or desktop experience, while storing and protecting data or desktop images in the data center. Granite storage delivery solutions allow applications to run locally in branch offices, while data is protected in the data center. Troubleshoot poorly performing applications faster with comprehensive monitoring and analytics. Our application performance management solutions let you stay on top of how your applications are performing for users in branch offices and field sites. Analytics allow you to quickly identify and diagnose issues across complex distributed and virtualised environments. Understand and manage network infrastructure from an application perspective. Our network performance management solutions let you plan and monitor network environments end-to-end. Granular visibility and analytics accelerate the troubleshooting process to improve application uptime.